With the release of FreeBSD 5.5 and FreeBSD 6.1, the second quarter of 2006 has been productive. Google is sponsoring 14 students to work on FreeBSD as part of their Summer of Code Program (most of which already submitted a report for elaboration on their projects). Sun's open-source software is starting to make its way into FreeBSD as a port of DTrace is nearing completion and a port to the UltraSparc T1 processor (which gives a great push to the ongoing SMP efforts). Having a powerful debugging tool combined with a CPU that can run up to 32 concurrent threads helps to identify scalability issues. BSDCan 2006 was yet again a smashing success and much was covered in the 2-day developer summit. As a product of the conference, a new focus on FreeBSD for the embedded sector has started. Various ARM boards are targeted, a MIPS32 port is gearing up and people are looking for other interesting platforms to port FreeBSD to. Preparation for the EuroBSDCon (in Milan, Italy) on November has already issued a call for papers. In addition, a lot of spring cleaning is taking place in the network stack. After conclusion of the KAME project, IPv6 code integration has been refocused and a fully locked port of SCTP is in the final stage of integration. Of course, all this goes without noting all the progress made with the other network projects. Please read below for more detailed news on the projects that happened in FreeBSD during the last three months. If you are interested in helping, consider the "Open Tasks lists" provided with some reports. In addition we would like to point you at the list of projects and ideas for volunteers and hope to receive a status report from you next time. Thanks to all reporters for your excellent work and timing! Enjoy reading. As part of my SoC 2006 project I am working on implementing a BRIDGE monitoring module for FreeBSD's BSNMP daemon. Initial prototyping is done and some kernel changes are coming to be able to access all needed data. In addition to IETF RFC 4188, which was designed for monitoring a single bridge, this snmp module will support monitoring of multiple bridge devices as supported by FreeBSD. Finish kernel changes and the code for the snmp module. The purpose of gvirstor module is to provide the ability to create a virtual storage device of arbitrarily large size (typically several terabytes) which consists of an arbitrary number of physical storage devices (actually any lower-level GEOM providers, including RAID devices) of arbitrary size (typically 50 GB - 400 GB hard drives). Storage space from these components is carved into small chunks (for example 4 MB) and allocated (committed) to the virtual device on as-needed basis. Development has started and is progressing as planned (though a little bit slow). Metadata format and virtual storage allocation formats have been defined and more serious coding is in progress. The improved support for the i386 binaries are ready for -exp run. It only allows installing such ports on amd64 and ia64 when there's a compatibility layer compiled into the kernel and the 32-bit libraries are installed under /usr/lib32. The DESTDIR support are in progress. It works for the simplest ports without USE_* that don't have a [pre|do|post]-install target. There are more complicated issues with e.g. conflict checking in DESTDIR, deinstalling from DESTDIR, those have to be fixed as well. DESTDIR issues should be fixed. All ports should be examined whether they respect CC/CFLAGS, and the erroneous ones should be fixed. Fetch scripts should be taken out of bsd.port.mk to be separate scripts. A tool should be written that makes possible to cross-compile ports. A good plist generator tool should be written for porters or the old one in ports/Tools/scripts should be updated. 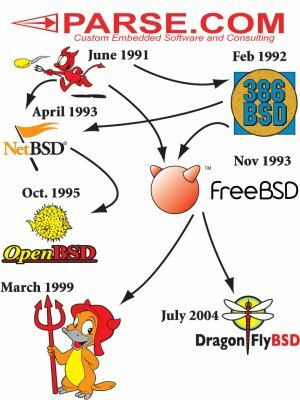 With the introduction of fine grained locking in the SMPng project, the FreeBSD kernel went under a major redesign, and many subsystem changed significantly with it. In particular, device driver's interrupt context ("the bottom half") had the necessity to synchronise with process context ("the top half") and share data in a consistent manner without using spl*(). To overcome this problem, a new interrupt model based around interrupt threads was employed, together with a fast interrupt model dedicated to particular driver handlers that don't block on locks (i.e. serial port, clock, etcetc). Unfortunately, even if the interrupt thread model proved to be a reliable solution, its performance was not on par with the pre SMPng era (4.x), and thus others solutions were investigated, with interrupt filtering being one of that. As part of my Summer of Code 2006 work, I'm implementing interrupt filtering for FreeBSD, and when the framework will be in place I'll compare the performance of filters, against all the previous models: pre-SMPng(4.x), ithread and polling. broke newbus API: bus_setup_intr() grew a new filter parameter of type "int driver_filter_t(void*)". The next milestone is to have all the different models (filters only, ithread only and filter + ithread) work together reliably. Clement has been working both with libnet and gnn's Python based packet library (PCS) to produce code to test for vulnerabilities in IPv6. To Clement has found some issues, all of which have been reported to his mentor and to Security Officer at FreeBSD.org Vulnerabilities will not be reported here. Get 0.1 of PCS on to SourceForge for wider use. Project is in development with initial working software expected mid-July 2006. CPU limits will be implemented with a hierarchical scheduler: (initially) using a round-robin scheduler to select which jail to run a task in and then delegating which task in the jail to be run to a per-jail scheduler. Complete round-robin inter-jail scheduler (with existing 4BSD schedulers implemented per jail). Add hooks for memory tracking. A simple lexer and parser have almost been completed. Also significant planing for future additions to K have been thought up. FreeBSD linux emulation layer (linuxolator) currently implements most of the functionality necessary to emulate 2.4.2 linux kernel, but linux world has moved forward and current linux world requires 2.6.x features. The aim of this SoC task is to make Fedora Core 4 linux-base to be able to run with 2.6.x kernel. Currently this means extending clone() syscall and implement pthread related things. This involves TLS implementation (sys_set_thread_area syscall) and possibly tid manipulation (used for pthread_join etc.) and finally futexes (linux fast user-space mutexes implementation). This should enable pthread-linked programs to work. After this is done there may be other things necessary to implement however, only time will tell. I am funded by google.com in their SoC to do this work and I'll continue to work on this after the summer hopefully as a part of my MSc. thesis. The basic goals of this SoC 2006 project are moving nsswitch-modules out of the libc, extending the caching daemon and importing nss_ldap into the base source tree. 2 milestones of the project are currently completed. 1. Nss-modules were successfully moved out of the libc into the separate dynamic libraries. In order for static binaries to work properly (they can't use dynamic nss-modules), nss-modules are linked statically into the libc.a. As the side-effect of nss-modules separation, getipnodeby***() functions were rewritten to use gethostby***() functions and not the nsdispatch(3) call. Caching daemon's "perform-actual-lookups" option was extended to support all implemented nsswitch databases. 2. A set of regressions tests was made to test nsswitch-related functions. These tests are also capable of testing the stability of these functions' behaviour after the system upgrade. Import nss_ldap into the sources tree. Improve the caching daemon's performance. Anonymous enablings now work. There is a new option in the boot loader menu to load the DTrace modules and trace the kernel boot process. Sun Microsystems has been very supportive of the FreeBSD port and has generously provided a Sun Fire T2000 server to allow Kip Macy's sun4v port to be merged into the DTrace project tree. Current effort centres around making DTrace useful for the sun4v porting effort which has shown up scalability issues with the current FreeBSD SMP implementation. DTrace should be ideal for analysing those issues. There are several projects moving forward in the embedded area. For now the main location for new information is www.embeddedfreebsd.org. We have also created a new mailing list, freebsd-embedded@freebsd.org , which is meant to eventually replace the freebsd-small. A call was put out on small for people to move to embedded. Per audit pipe preselection allows IDS applications to configure audit record selection per-pipe, new auditpipe.4 document. audit_submit library call to reduce complexity of adding audit support to applications. Significant cleanup, bug fixing, locking improvements, token parsing and generation improvements. Solaris subject token compatibility, extended address support. Auditing of extended attributes calls, ACL support a work in progress. OpenBSM 1.0 alpha 7 integrated into CVS. OpenBSM test tools in progress. Experimental auditeventd which allows shared object plug-ins to subscribe to live audit events via a shared pipe in order to support the easy authoring of simple intrusion detection and monitoring components. Bring audit event daemon API and implementation to maturity. Currently these are not installed by default in the CVS-merged version. Allow finer-grained configuration of what is audited: implement control flags regarding paths, execve arguments, environmental variables. Support for auditing MAC policy data. Additional user space application coverage, such as application layer audit events from adduser, rmuser, pw, etc. Continuing to add IPv6 support to FAST_IPSEC. Test environment is now stable. Can build and run kernels with FAST_IPSEC and INET6 enabled but IPSec in IPv6 is now broken and being worked on. Complete move to FAST_IPSEC type processing for IPv6. This is complicated by the structure of the IPv6 code itself which, unlike IPv4 splits transport and tunnel mode processing across the output routine. Mohan Srinivasan committed his changes to make the NFSv2/3 client MP safe to HEAD this quarter. Changes may be back-ported to 6.x soon. Robert Watson and Chuck Lever held a discussion about the future of the in-kernel NFSv4 client during BSDCan 2006. The current NFSv4 client is unmaintained. Chuck also pointed out the long series of unfixed PRs against the legacy client (NFSv2/3). These are at the top of his priority list. Robert is also interested in making NFSv4-style ACLs the lingua franca for FreeBSD file systems. There was some discussion about integrating Rick MacKlem's NFSv4 server into 7.x. Changed ip6_sprintf to no longer return a static buffer. Started to adopt in6_pcb* code to what we have for legacy IP. Next steps will be to reduce the number of global variables and caches. Enhance things and add new features. As an intermediate step until FreeBSD will have full network stack virtualisation this work shall provide support for multi-IP IPv4/v6 jails. These changes are based on Pawel Jakub Dawidek's work for multi-IPv4 jails and some initial work from Olivier Houchard for single-IPv6 jails. This is not considered to be the right thing todo so do not ask for official support or if this will be committed to the FreeBSD source repository. After some more cleanup of non-jail related IPv6 changes I will publish a patch for HEAD and perhaps RELENG_6 for everyone who wants to give it a try anyway. Write some tests. Especially IPv6 changes need more testing. Check what general changes might need merging to HEAD. For the last several months Randall Stewart has been working in HEAD and STABLE to get us ready to integrate the SCTP protocol (Stream Transmission Control Protocol) into FreeBSD. He is currently working on a patch to share with a wider audience but needs to do some integration work first. Randall has a provisional commit bit and will be working with gnn on getting code committed to the HEAD of the tree. When this gets integrated it needs lots of testers. The wireless support has been stable for a while so most work has focused on bug fixing and improving legacy drivers. Max Laier and I worked on improving support for Intel wireless cards. The results of this work included significant improvements to the iwi(4) driver (for 2195/2200 parts) and the firmware(9) facility for managing loadable device firmware. There is also an updated ipw(4) that has improvements similar to those done for iwi that is in early test. Support for the latest Intel devices, the 3945 pci-express cards, is planned for later this summer. Atheros support was updated with a new hal that fixes a few minor issues and provides known working builds for SPARC, PPC, and ARM platforms. There is also working MIPS support that will be used when the MIPS port is ready to test. Otherwise one useful bug was fixed that affected AP operation with associated stations operating in power save mode. wpa_supplicant and hostapd were updated to the latest stable build releases from Jouni Malinen. Experimental changes to support injection of raw 802.11 frames using bpf were posted for comment. This work was done in collaboration with Andrea Bittau. Legacy drivers such as wi are languishing and need maintainers. This is prerequisite to bringing in new 802.11 features such as improved scanning and virtual ap. The patches to allow UFS operate with quotas in Giant-less mode are brewed for long now. Since recent huge pile of fixes into snapshots code, I think the problems you could encounter are caused solely by the patch. Aside performance benefits, patch has another one, much more valuable. It makes UFS operating in one locking regime whatever options are compiled into kernel. I think, in long term, that would lead to better stability of the system. I need testers feedback. Both stability reports and performance measurements are welcomed ! For some time now I have been working on converting the existing USB device drivers to my new and mutex enabled USB API. I have converted "ulpt", "ums", "uhid", "ukbd", "ugen", "uaudio", and a few others. Around 10 USB device drivers are left to convert. Most of these are network device drivers. At the present moment I am working on getting scatter and gathering support working for all USB host controllers. Scatter and gathering means that one allocates PAGE_SIZE bytes of memory at a time, and then fills these memory blocks up as much as possible with USB host controller structures and buffers. This should solve problems allocating DMA-able memory when the system memory becomes fragmented. If anyone wants to help convert the remaining USB device drivers, please drop me an e-mail. GJournal is a GEOM class which provides journaling for GEOM providers. It can also be used to journal various file systems with just a minimal filesystem-specific portion of code. Currently only UFS journaling is implemented on top of gjournal. Being filesystem-independent and operating below the file system level, gjournal has no way to distinguish data from metadata, thus it journals both. One of the nice things about gjournal is that it works reliable even on disks with enabled write cache, which is often not the case for journalled file systems. And remember... fsck no more. I'm looking for feedback from users who can test gjournal in various workloads. I have been working on porting missing features in gvinum from vinum, as well as adding new features. So far the resetconfig, detach, dumpconfig, setstate (on plexes and volumes) and stop commands have been implemented, as well as some other minor fixes. The attach command is currently being implemented, and started on disk-grouping. Currently most of this is in p4, but patches will be submitted as soon as possible. Since the last status report we fixed some more bugs, added basic support for envy24 chips and cleaned up the source for the emu10kx driver in the ports to make it ready for import into the base system. We also got some patches with a little bit of infrastructure for Intel HDA support. It's not finished and also not usable by end users yet. Some FPU system and kernel memcpy/copyin/copyout changes have been performed. In particular, a per-CPU save area has been introduced (protected with an interlock) in order to assure a stable saving mechanism. copyout/copyin have changed in order to use vectorised version of memcpy and an xmm version of memcpy has been provided. The XFS for FreeBSD project is an effort to port the publicly available GPL'd sources to SGI's XFS filesystem to FreeBSD. In December, we imported a version of XFS into FreeBSD-CURRENT which allows FreeBSD to mount an XFS filesystem as read-only. As a side effort, we have been continuing on the work that PHK started to clean up the mount code in FreeBSD. We can use the existing FreeBSD mount(8) utility to mount an XFS partition, without introducing a new mount_xfs utility. The FreeBSD list of projects and ideas for volunteers is doing well. Several items were picked up by volunteers and have found their way into the tree. Others are under review or in progress. We are looking forward to hear about new ideas, people willing to act as technical contacts for generic topics such as USB or specific entries (already existing or newly created) and suggestions for existing entries or completion reports for (parts of) an entry. The translated webpage is almost ready now. This Hungarian translation is a "lite" version of the original English webpages, since there are parts that are irrelevant for the Hungarian community, or has pieces of data that change quickly, so it's no use to translate these pages now, maybe later, if we have more Hungarian contributors, but this webpage would be a good starting point in translating the documentations, and we need a good place to put translated documentations anyway. I'm going to be very busy with SoC this summer, but I'll try to find people that can help me out in this project. Any help appreciated. The remaining important pages should be translated. The press/media/news sections should be restructured somehow to being fed from the English webapges, since we don't have too much Hungarian resource to make these up to date. As an intermediate step towards implementing support for callgraphs and cross-architecture performance measurements, I am creating a BSD-licensed library for ELF parsing & manipulation. This library will implement the SysV/SVR4 (g)ELF API. Current status: Implementation of the library is in progress. A TET-based test suite for the API and manual pages documenting the library's interfaces are being concurrently created. Work is being done in FreeBSD's Perforce repository. I hope to be ready for general review by the end of July '06. Reviewers are needed for the code and the test suite. If you have extensions to the stock SysV/SVR4 ELF(3) API that you would like to see in -lelf, please send mail. The project is slowly starting to ramp up after a long move-induced hiatus. Most of the work lately has been optimisation, either at the database level or at the web application level. A 2U server was recently donated to the FreshPorts / FreshSource / FreeBSD Diary / BSDCan group. We have also received a RAID card. Now we're looking for some hard drives. Over the past few weeks, work has concentrated on benchmarking the new server and getting it ready for production. Eventually it will need a new home as I don't really want it running in my basement all the time (it's really loud!). During this time, a huge number of ports PRs were committed, bringing us back down below 800 for the first time since the 5.5/6.1 release cycle. This is due to a great deal of work, especially from some of our newest committers. This is all the more notable given the fact that we have been adding new ports at a rapidly accelerating rate. We have now exceeded the 15,000 port mark! Three sets of changes have been added to the infrastructure, including updates of default versions of MySQL, PHP, LDAP, and linux_base, and numerous bugfixes and improvements. About 2 dozen portmgr PRs were closed due to this. In addition, a large-impact commit was made that attempts to move us to a single libtool that is as unmodified from 'stock' libtool as we can. Plans are also in place to do this for the autotools. Several people are at work on implementing the modularised xorg ports. Most of the work is done but several key pieces remain. Once this is finished, an -exp regression test will be needed (most likely, more than one :-) ) It is possible that before this we will need to do a regression test that moves X11BASE back into LOCALBASE. This is still under study. Gábor Kövesdán started a Google Summer of Code project on some highly needed improvements on the ports infrastructure (see elsewhere in this report). As this is a long term project, gtetlow kindly imported the most important ports infrastructure files into perforce to ease development. Other developers are encouraged to use perforce for ports development, especially as it can help keeping patches up-to-date while going stale in GNATS. Even though linimon has been pushing hard on running experimental builds on the test cluster, it will take some time to work through the backlog. erwin added a ports section to the list of projects and ideas for volunteers at the FreeBSD website. Have a look if you want to work on the ports system. Don't hesitate to send additional ideas, and committers are encouraged to add themselves as technical contacts. sem adopted portupgrade after it had been neglected for some time and has been very active on upgrades and bugfixing. dougb has continued to enhance his portmaster script and people are finding success with it; although not designed to be as full-featured as portupgrade, it does seem to be easier to understand and use. shaun has contributed portscout, a scanner for updated distfiles, to the ports collection. edwin has been hard at work on a PR-autoassigner for ports PRs, which has saved a lot of time and been well-received. It has now been installed on a freebsd.org machine (hub). linimon has been more active in pursuing maintainer-timeouts, and has reset a number of inactive maintainers, with more in the pipeline. The intent is to try to reduce the number of PRs that sit around unanswered for two weeks. In almost all cases the resets are due to no response at all; maintainers who are merely "busy" are not the source of most of these problems, and deserve the benefit of the doubt. Some of the maintainers that have been reset haven't contributed in months or even years. We can always use help with infrastructural enhancements. See the ports section of the list of projects and ideas . We updated the default linux base port to Fedora Core 4 and the default linux X11 libs port to the X.org RPM in FC4. An update to FC5 or FC6 has to wait until the kernel got support for syscalls of a newer linux kernel. See the corresponding SoC project report for more. Since the last status report ports have been created for all parts of the BSDInstaller except the backend. A snapshot of the BSDInstaller was released during this quarter. This has shown a number of bugs with the installation process. Most have now been fixed. pfSense is rapidly approaching release. We are down to a handfull of bugs that should be fixed in the coming weeks. We should have a release around the time of our 2nd annual hackathon which is taking place on July 21st - July 28th. Many exciting sub-projects are taking place within pfSense and the project is gaining new developers monthly. http://cvstrac.pfsense.com/rptview?rn=6 lists the remaining open bugs. With the help of Jim Thompson of Netgate ( http://www.netgate.com/ ) the FreeBSD Foundation arranged a purchase of xscale-based boards for folks interested in ARM support. Developers were able to purchase boards at a reduced cost. The goals were to accelerate and/or improve support for the ARM platform and to set forth at least one board as a reference platform for the ARM support. Netgate will be stocking lower-cost models of the board later in the year (a special order was made for boards with only 2 mini-pci slots). BSDCan 2006 continues to impress. Again this year, we had a good collection of talks from a wide range of speakers. In all, we had over 200 people from 14 different countries. The t-shirts were very popular, with all of them going in very short time. Of course, it helped that this year they were free, courtesy of PARSE. The 2007 planning has already begun and we look forward to another popular and successful event. My thanks to the 2006 program committee, the speakers, the volunteers, the sponsors, and, of course, the attendees. This year's EuroBSDCon will be held in Milan, Italy, on November 10th through 12th. For the first time, parallel to the main event, an event for wives/girlfriends/friends will be organised. It will consist of guided tours of the city of Milan, a probable trip to Como and visits to various museums. We're also working towards offering a show at the Teatro alla Scala. The Conference Organisers are also looking for sponsors. Feel free to contact oc@eurobsdcon.org in order to discover the different sponsoring opportunities. In the time since the last status report, four security advisories have been issued concerning problems in the base system of FreeBSD; of these, one problem was "contributed" code, while three were in code maintained within FreeBSD. The Vulnerabilities and Exposures Markup Language (VuXML) document has continued to be updated by the Security Team and Ports Committers documenting new vulnerabilities in the FreeBSD Ports Collection; since the last status report, 71 new entries have been added, bringing the total up to 757. The following FreeBSD releases are supported by the FreeBSD Security Team: FreeBSD 4.11, FreeBSD 5.3, FreeBSD 5.4, FreeBSD 5.5, FreeBSD 6.0, and FreeBSD 6.1. The respective End of Life dates of supported releases are listed on the web site; of particular note, FreeBSD 5.3 and FreeBSD 5.4 will cease to be supported at the end of October 2006, while FreeBSD 6.0 will cease to be supported at the end of November 2006. The release engineering (RE) team announced the availability of FreeBSD 5.5 and 6.1, both in May 2006. FreeBSD 5.5 is the last planned release from the RELENG_5 branch in CVS. For the most part, its main features consist of bugfixes, security patches, and minor updates. We encourage users to move towards the 6.x series of releases whenever practical. FreeBSD 6.1 is the latest of the releases to come from the RELENG_6 branch in CVS. It includes (among many other things) improved support for WiFi devices, additional network and disk controller drivers, and a number of fixes for filesystem stability. The next release to be issued from this branch will be FreeBSD 6.2, which is currently scheduled for September 2006. The RE team is currently in a ``between releases'' mode. Current activities include working with security-team@ on some errata fixes for the RELENG_6_1 branch and producing snapshots of HEAD and RELENG_6 at the start of each month. Several personnel changes have taken place recently. Scott Long has stepped down from his position on the RE team; we thank him for his considerable efforts over the past four years. In his place, Ken Smith has taken over the role of lead release engineer. Bruce A. Mah has rejoined the RE team after a two-year sabbatical.